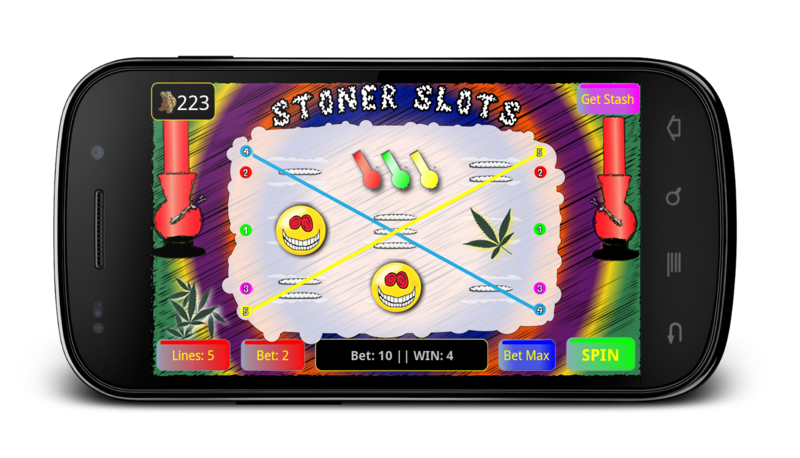 Pass A Joint is proud to announce a FREE premium upgrade to our smash hit game – Stoner Slots – now with worldwide progressive! If you are online, the progressive automatically kicks in. Not online? no problem, you can still enjoy the famous game Stoner Slots without the progressive enacted (automatic detection). Pass a Joint takes special care in all their releases, and makes timely upgrade to suggestions left by players, just like you. Feel free to share you comments with us – I love adding user requested content. May has been a busy month for Pass A Joint, with our whole line up updated, there is only more awesome games in store for you. I have 2 in mind for you right now – but sssshhhhhhh! it’s a secret!